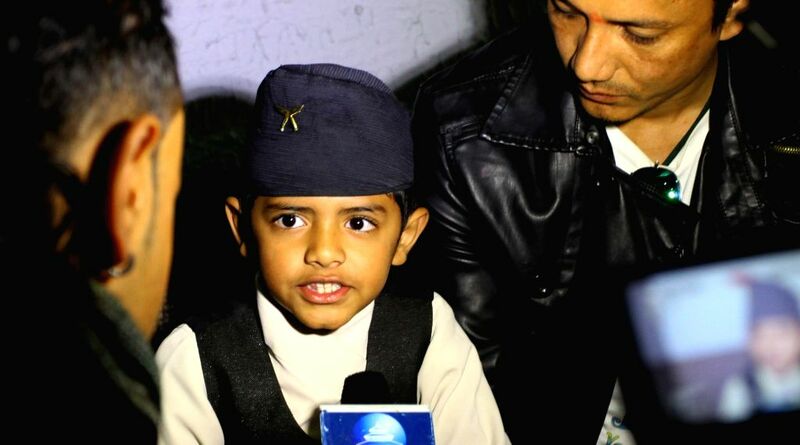 Kathmandu (Nepal): Premiere of Nepali movie "Love You Baba"
Kathmandu (Nepal): Nepalese eight-year-old kid Saugat Bista talks about his Nepali movie `Love You Baba` with media during its premiere in Kathmandu, Nepal, Dec. 9, 2014. Bista is in an attempt to be the youngest director to break the Guinness World Record of Indian kid Kishan Shrikanth who directed a film at the age of 9. Dec 03, 2014Press conference of film " Kaash Tum Hote"